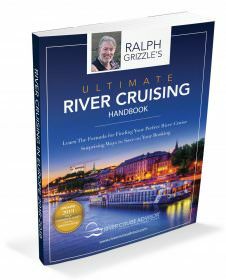 Aaron Saunders and I (Ralph Grizzle) have been fortunate to cruise on ships operated by all of the major river cruise companies, and in fact, we’re constantly cruising on the rivers. You can follow our voyages here on River Cruise Advisor or on our sister site, Live Voyage Reports, where we write about our experiences while we’re cruising. 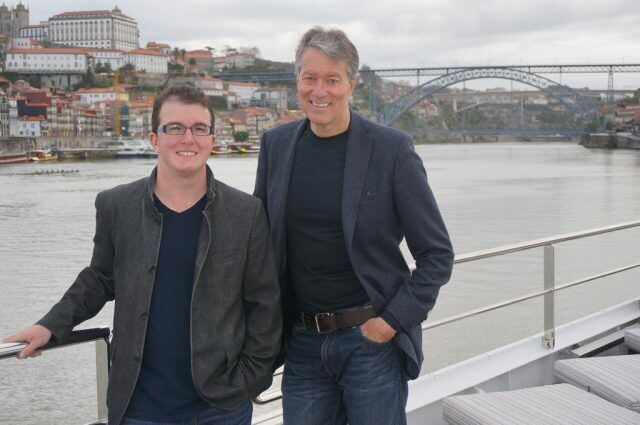 For the past five years, we’ve worked tirelessly to grow and expand River Cruise Advisor to better serve your needs. We realize that many of you have yet to experience a river cruise. That’s where we come in: by showcasing river cruising in all its forms, around the world, from the canals of Burgundy to the might of the Mekong. We cover the latest-and-greatest and the tried-and-tested with the same enthusiasm. We’re professional journalists and photographers, yes. But we’re avid cruisers — first and foremost. Pictured here on the Douro River in Portugal, Aaron Saunders (left) and Ralph Grizzle (tall) are constantly cruising on rivers worldwide. 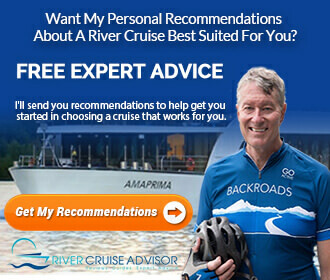 If you are new to river cruising and/or want to learn more about the various river cruise companies and their vessels, you will find a broad selection of river cruise reviews that will provide you with the knowledge to make an informed decision. When you’re planning a river cruise in Europe or Africa or Asia or South America or the United States, you have a fair amount of choices. To better understand what your choices are, we’ve prepared the table below with some of the features our readers most commonly ask us about, coupled with a brief overview of what makes each line unique in its own right. More information can be gleaned by reading our entire company and fleet profiles by clicking the appropriate links. Ready? Let’s get river cruising! Read the full story here. Ralph, we just returned from a cruise on Viking Magni a few weeks ago. We did the Tulips and Windmills itinerary from Amsterdam. This was our third cruise with Viking but our first on the Magni. We had also been on three cruises with Uniworld, but not going to compare the difference as they really aren’t in the same category for cost, style, or service. Our experience with our previous ships, the Odin and the Rinda, had been pretty good and we decided to take advantage of an offer we had received from Viking for the Netherlands trip. As you know all of the Viking Longships look pretty much the same so no surprises there. We had a A Veranda Suite which was compact but comfortable and clean. Our first surprise of many came when we went to dinner the first evening. We noticed service seemed a bit slow and then it appeared for the entire dining room there were only 5 or 6 servers. It took over 2 hours to finish our meal. They also had a bit of a mess in the kitchen that evening as the pea soup had spilled all over the kitchen floor. No soup was able to be served. Didn’t think too much of that as accidents do happen. Unfortunately the lack of servers for the cruise continued throughout the entire cruise. Dinners were quite lengthy even though the servers worked very hard to keep up. Ralph, I’ve cruised both AMA (Prima) and Viking (Odin-Longship) and we immediately noted a couple of differences. The AMA balcony cabins were bigger, laid out better, and easier to get around in. The Prima was more elegant but the Odin was also very nice. I missed the Prima’s pool when on the Odin and to tell you the truth, I didn’t use the bikes on the Prima and didn’t miss them on the Odin. One very notable difference was the dining room staff on the AMA Prima SPOILED me in every way imaginable including with an abundance of Caviar that was scarce to come by on the Viking Odin. The staffs on both ships were very attentive and I can’t say anything negative about the service on either ship but “special items” just seemed to be in abundance on the Prima. One must understand we are comparing a Mercedes to Lincoln-both excellent in quality, performance and price but it is the dealer service that makes the difference. I’m very much looking forward to my two upcoming cruises on Viking Spirit and Star but all things being equal (price, itinerary, dates of travel, etc. ), I will pick AMA for my next booking! Thanks for sharing Chuck, and your observations are interesting for me and I am sure for our readers. It always helps to have first-hand knowledge from people like you. We have not cruised on AMA but have on the Odin and must admit we were very disappointed in the quality of the meals served but will say the dining room staff was excellent. We too were disappointed there was not a pool nor a fitness room and for those reason that will likely be our last cruise on Viking. 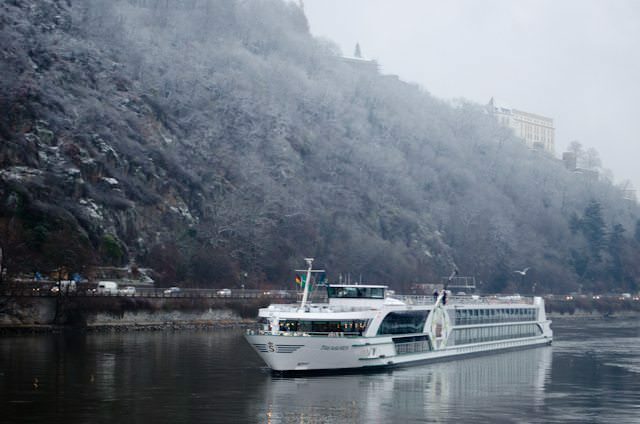 There are many things that differentiate river cruise lines. As you point out, the Longships don’t have a pool nor a fitness center. Viking’s reasoning is that most of Europe is a fitness center, in terms of how walkable it is. But, it’s always important to take these things into consideration. I love ships that have complimentary bicycles – which Viking does not – but they’re not a deal-breaker for me. One of the reviews on trip advisor of the SS Antoinette mentioned that Uniworld went all inclusive this season on a Trial Basis. We are curious if you are aware if it’s only a trial? We are so in hopes it will continue. We are traveling on SS Catherine 2015. Thanks on any info. you may have on this subject. We have been on the Beatrice and the Antoinette. We love Uniworld and her beautiful ships. Their service to their travelers in my opinion is next to none. Excellent ! !